Alfa Giulia is hard to argue with as the 2018 Newcarpicks.com Car of the Year. One of the highlights of every year, for a media auto fanatic, is to attend the North American International Auto Show at Detroit’s Cobo Hall. Traditionally the largest and most spectacular of the four “major” U.S. shows — along with Los Angeles, Chicago and New York — the Detroit show has the added attraction of being the center of the automotive universe, attracting engineers, designers and the usual overload of promotional types. There are bigger shows worldwide, such as the Frankfurt Auto Show, which I’ve attended several times, and probably Tokyo, Paris, or Geneva, which I’ve never attended, but the Detroit show draws the auto company big-shots from all over the world, many of whom have their North American headquarters in or near Detroit, which, of course, is the home base for Ford, General Motors and FCA, or Fiat Chrysler Automobiles. The Detroit show starts January 13th, and after three press conference dates, opens to the public. It has lost some of its luster in recent years, through no fault of its own. The Los Angeles show, held in November, upstages Detroit by attracting a lot of the Asian introductions, which has forced other countries, and the U.S. manufacturers, into also sending a preponderance of their “A” material to L.A. Chicago, meanwhile, is the most fun, because of the assortment of high-end restaurants and music venues in a tight little area accessible to the media and other major hotels. New York is reat fun, but it is scattered around Manhattan and may be completely overlooked by the locals. The Volvo XC-60 takes all the assets of the exceptional XC-90 and condenses them into the best SUV on the market — our truck of the year. Detroit, however, remains the mainstay, and among the major attractions in Detroit is the naming of the North American Car of the Year, Truck of the Year, and Utility of the Year, as voted on by an independent jury of auto media types. In the two decades I was part of that jury, I tried to influence all who would listen about improving the stature of the car of the year award. The jury did follow my strong suggestion about having a re-vote after naming the finalists, to encourage more coverage among jury members. I did originally think going to a separate category for utility vehicles made sense, but I reversed myself after some serious thought, when I realized that the rapidly expanding surge of SUVs was about to be accompanied by a reduction in legitimate trucks. My point was that a year may come when there aren’t any real new trucks, while there might be 50 SUVs and crossovers. We would avoid that embarrassing situation if we kept trucks and utilities together, even though some stubborn older jurors vowed to not vote for a truck unless it was a “real” truck. Well, this is the year my warning has come to pass. The jurors have voted it down to three car finalists, with the Honda Accord, Toyota Camry and upstart Kia Stinger. They voted the utilities down to the Alfa Romeo Stelvio, the Volvo XC-60, and the Honda Odyssey minivan. And the three truck finalists are the Chevrolet Colorado ZR-2, the Ford Expedition, and the Lincoln Navigator. We can debate the three categories, and in fact, the jury should spend more time debating them, in my opinion. For example, the Expedition and Navigator are basically the same vehicle with different equipment and trim from Ford Motor Company. We thought both might be facing the end of their road, so to speak, but they are all new and redone. Beyond that, they are both SUVs in the traditional sense — much as the Suburban, Tahoe and other large SUVs are SUVs. They are body-on-frame, which qualifies them as trucks, in some minds. The Chevrolet Colorado is s downsized pickup, and Chevy added a sporty version, called the ZR-2, which is very neat, but not close to an entirely new vehicle. However, they were the only three entries, stretched or not, in the truck category, so all three trucks qualified as truck finalists. If I had to predict what would be the top vote-getters from the jury, I would guess the Accord might win the Car of the Year, the Colorado ZR-2 the Truck of the Year, and the Volvo XC-60 the Utility of the Year. But that’s just my guess. In the Newcarpicks.com realm, we can examine some other possibilities. For Car of the Year, my finalists would be the Alfa Romeo Giulia and the Hyundai Ioniq. For Truck of the Year (combining trucks and utilities), the finalists are the Volvo XC-60 and the Infiniti QX-30. In way of explanation, I will submit that my vote always has gone for what is new, and what represents a technical advancement. Sure, my winner must look good, drive well, be maneuverable and safe, and be roomy enough and achieve solid fuel economy numbers. Because mpg and the ability to drive well are wholly dependent on technology, I found myself giving an extra dose of favoritism to technical advancement. For that reason, my Car of the Year is the Alfa Romeo Giulia Ti — that’s the 4-cylinder version, rather than the overpowering V6. The turbo 2.0-liter 4 has excellent power and can deliver mid-30s for fuel economy. Plus, it comes with available all-wheel drive. Perfect for winter climes. And the large aluminum paddles affixed to the steering column make manual shifting an easy and satisfying alternative. 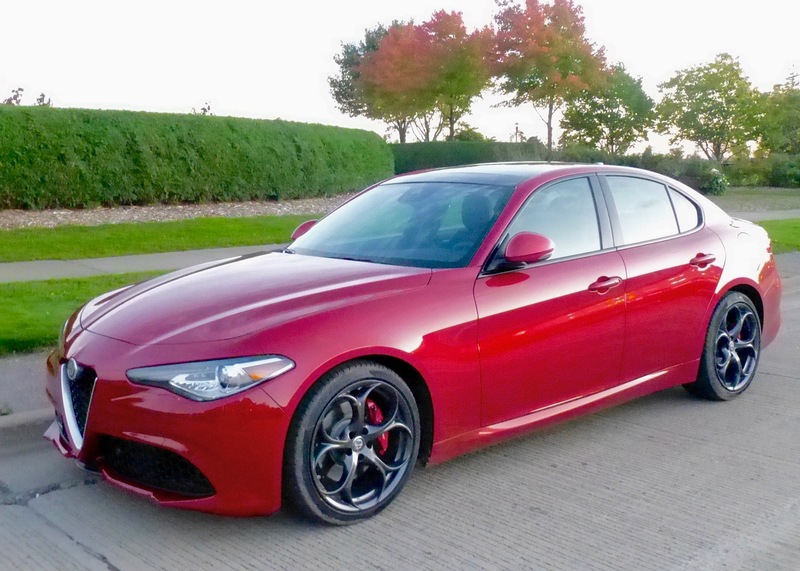 Alfa made no mistakes when it built the Giulia as its flagship to lead the corporation back into the U.S. market, with a beautiful design on a 4-door sedan that runs strong and is, as I’ve mentioned, the best-handling car you could ever imagine. Yes, it’s true that Motor Trend also picked the Giulia as its Car of the Year, but I am willing to share the delivery of all the accolades for the Italian beauty. In addition, the wonderful story is destined to become legend that goes beyond its basis in fact — that the bosses of Fiat, parent company for Alfa and Ferrari, selected the top engineers at Ferrari Formula 1 and assigned them to look over the Giulia’s attractiveness and then go all out to design a 2.0-liter 4, and a 3.0-liter V6, selecting an engineering group from among the top Ferrari engine staffers, and make those engines as strong and well-made as all their formidible Formula 1 experience could manage. So the Giulia goes as well as it looks, and it sounds even better than you could hope for, with a throaty bark that amplifies itself when you step on it hard. The 4-cylinder Giulia Ti costs between $42,000 and $50,000, and is a tremendous bargain compared to the $85,000 V6 model. 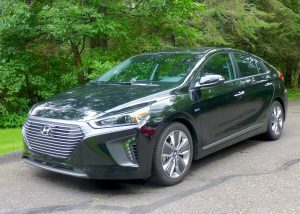 Hyundai’s venture into high-tech alternatives is the Ioniq line — compacts with hybrid, plug-in hybrid or pure electric power. The runner-up Hyundai Ioniq would also be an excellent winner. The Ioniq is a new venture for Hyundai, taking a compact platform and expanding the interior up to near full-size room, simply by moving the engine and drivetrain forward and expanding the interior into what used to be wasted under-hood room. A solid safety skeleton and a body shaped with abundant high-strength steel handles that end of it. But Hyundai has made a dedicated commitment to the future with the Ioniq, offering it only with three power options. The first is a hybrid, with a strong little direct-injected 4-cylinder, plus a high-tech electric motor arrangement powered by an LG battery pack that is positioned under the back seat. Second option is a plug-in hybrid, which gets a larger electric system and longer range on pure electric. Third is pure electric power, which means the Ioniq does not have the reliable safetty net of a gas engine to supplement the electric power. I’ve driven the pure-electric Ioniq, and it has excellent power and sporty handling, as well as range that puts it up there with the best pure-electric vehicles. Same with the hybrid models, which make it seem as though Hyundai is taking on Toyota’s Prius line head-on. If so, the Ioniq acquits itself very well, with a good price range, and the added sportiness of a shiftable transmission instead of the often-annoying CVT system. 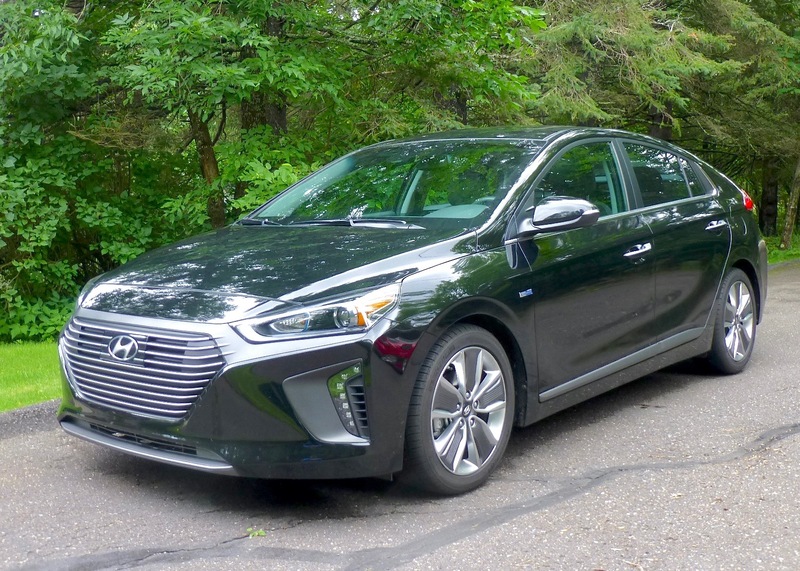 In the range between $24,000 and $34,000, the Ioniq is a bargain, and it also stands as an icon among icons in Hyundai’s impressive stable. The Genesis sporty-luxury sedan is a keeper, performing well beyond its stature, while the redone Sonata gains a sportier look and more performance, and the new Elantra compact has grown enough that you might want to check one out if you’re looking for a Sonata. Also, the Accent has just come out all-new as well in the subcompact range. And the upcoming year will bring a new Tucson compact SUV. Quite an array of winners, but my choice of finalist goes to the other-worldly technology of the Ioniq. My pick as the best truck/utility of the year is the Volvo XC-60. Volvo built a fantastic SUV with the three-row XC-90, which I declared was the finest SUV I’d ever driven. Impressed as I was with the newly engineered 2.0-liter 4-cylinder engine that takes on turbocharging, or both turbo and supercharging to make as much power as any V6 or V8 buyer could want, I was then flat blown away by the new XC-60. 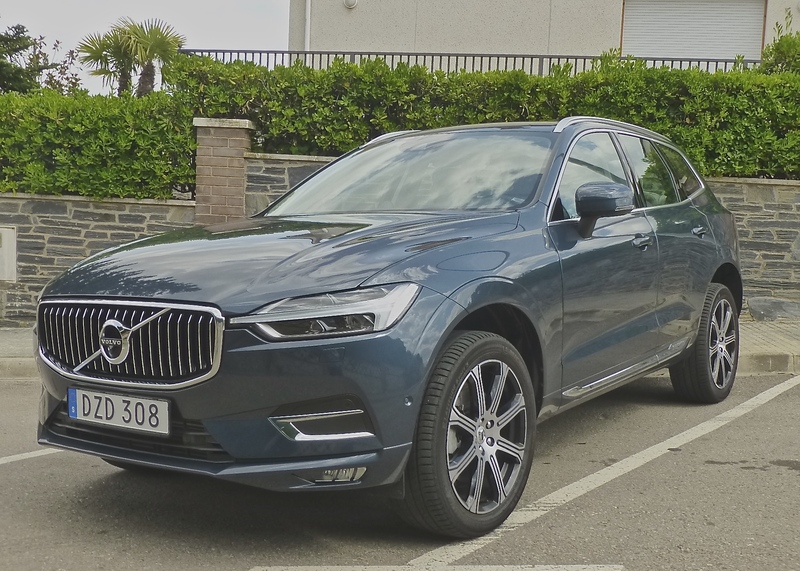 A smaller, more compact but just as solid body structure is an amazing performer when fitted with the same 2.0 turbo/supercharged powerplants as its larger XC-90 sibling. That means it is quick, sporty, handles flat in the tightest turns, and is a joy to drive in any conditions — including foul-weather or rugged-terrain applications. From mid-$40,000 to mid-$50,000, the XC-60 is also a bargain, aimed at those loyal buyers who will get their Volvo and then keep it and drive it for 10 years. 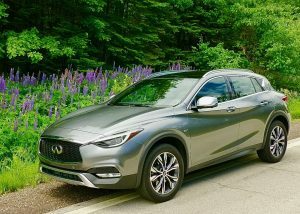 The Infiniti QX-30 is a low, sleek compact SUV that handles like a sports car and gets mileage of an economy car. My runner-up is a personal favorite. While some dismiss it as too small in the rear seat, my family found that the Infiniti QX-30 was fine for 6-footers in the rear, and so stunning to look at and responsive to drive that they’d pick it even if it was too small. The many sculptured grooves set the QX-30 apart from its bigger, bulkier siblings, and it still has plenty of punch from its turbocharged 2.0-liter 4, and those giant paddle shifters on the steering column. 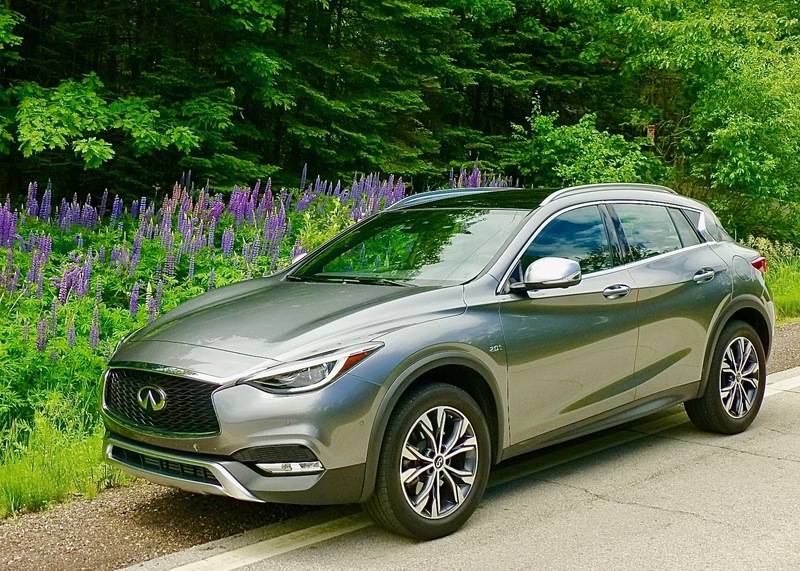 Basically, the QX-30 is the sports car of SUVs, and you might surprise yourself every time you climb into it in the winter time and realize you have the security of all-wheel drive. That’s the ideal part of the Newcarpicks.com Car and Truck of the Year selections. The Giulia and the XC-60 are both fabulous vehicles, but if you had to settle for the runners-up Ioniq and QX-30, you would still be choosing fabulous vehicles.